drivingandlife: JAGUAR XJ-220 - VISION ACHIEVED? 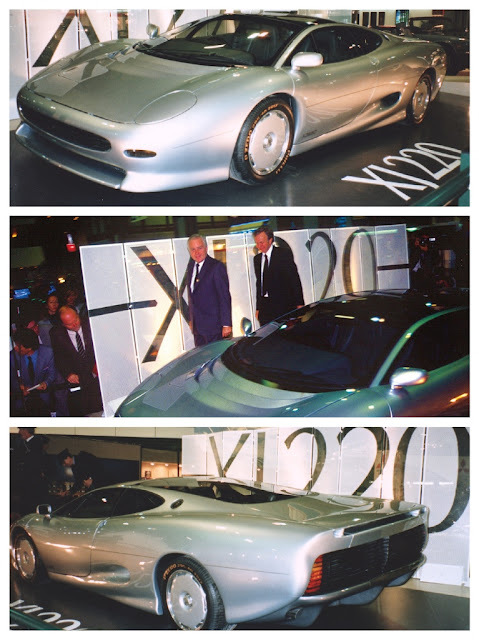 I have a very intimate connection to the XJ-220. 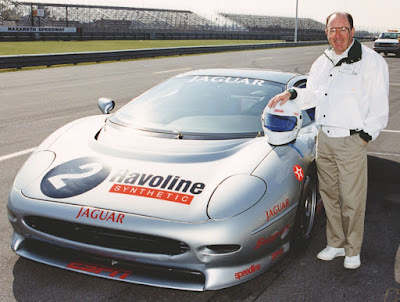 Thanks to my very close friendship with Jaguar’s Chief Engineer, Jim Randle, a man I admired and respected. I spent a lot of time with Jim, and with his family. 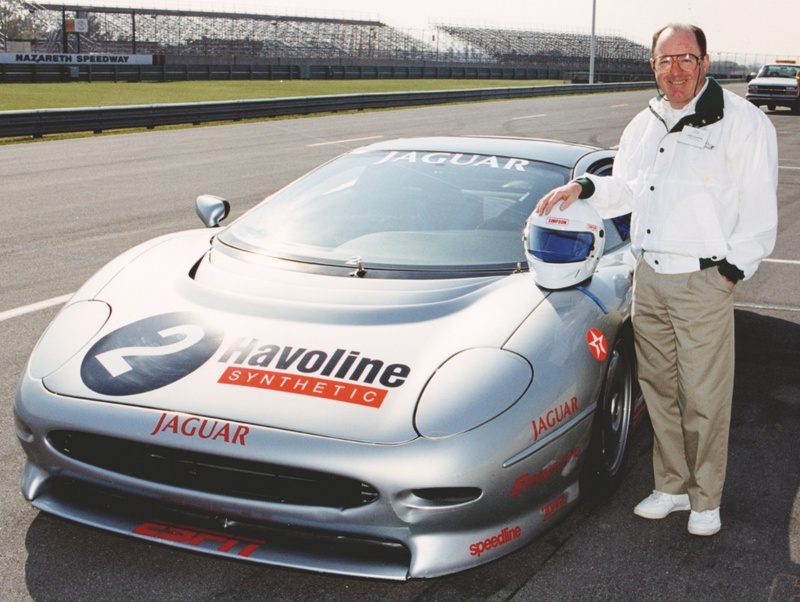 Many automotive luminaries have criticised some of his ideas, but he was a ‘Jaguar Man’ through and through – and his integrity was unquestioned, and that was what I admired most. 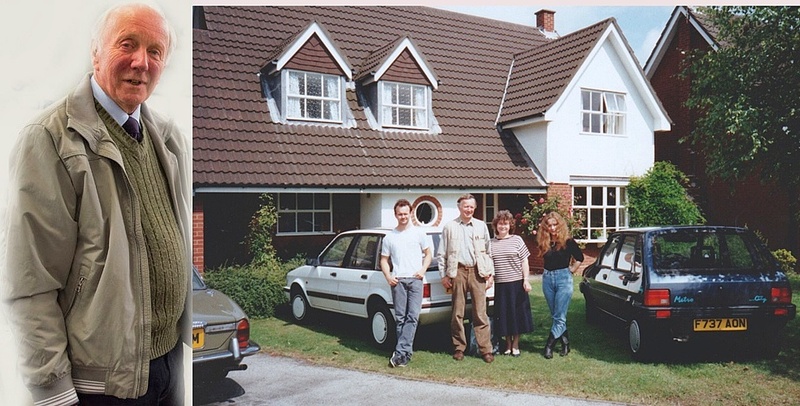 On every business trip to Coventry I always managed to set an appointment with Jim, usually late in the afternoon, so we could chat in his office, and occasionally take a walk around the Experimental Department to look at what his team was working on. I know, I know – what a privilege. To see projects that were years away from realisation because of the trust created between us as colleagues and friends. 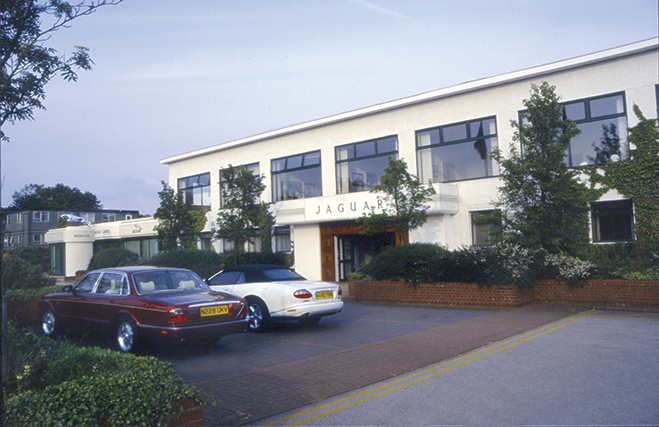 In April 1987 on a visit to Jaguar HQ’s PR department I got a message that Jim Randle wanted to see me at 5:30pm in the Experimental Department. When we walked through the various body-build areas, we entered a ‘back room’ and I saw a covered prototype. Jim whipped the covers off a plywood body ‘buck’, to reveal the basic outline of the Jaguar XJ220. 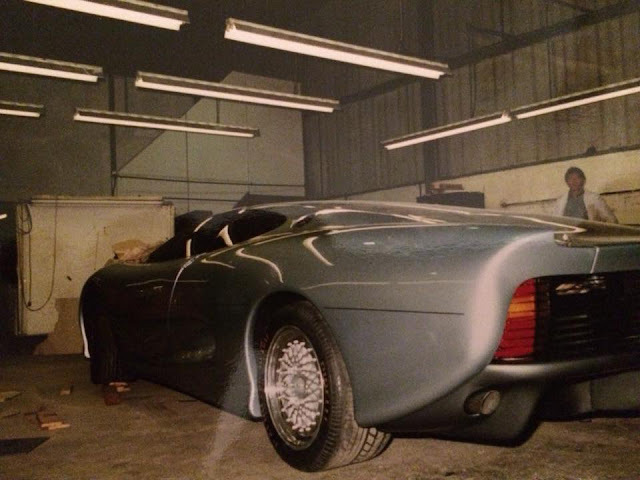 He then explained to me what the project was; how it had come about; and that he hoped to unveil it on October, 18, 1988 - Press Day at the British Motor Show, held at the National Exhibition Centre in Birmingham. Given the state of the prototype I thought this was very ambitious timing, until Jim explained that it was an ‘after-hours’ project worked on by a team called ‘The Saturday Club’ – made up from a team of volunteers who worked on the 220 at every available opportunity, especially weekends. The following year I visited the Experimental Department two nights before the British Motor Show, when Jim showed me the finished prototype. 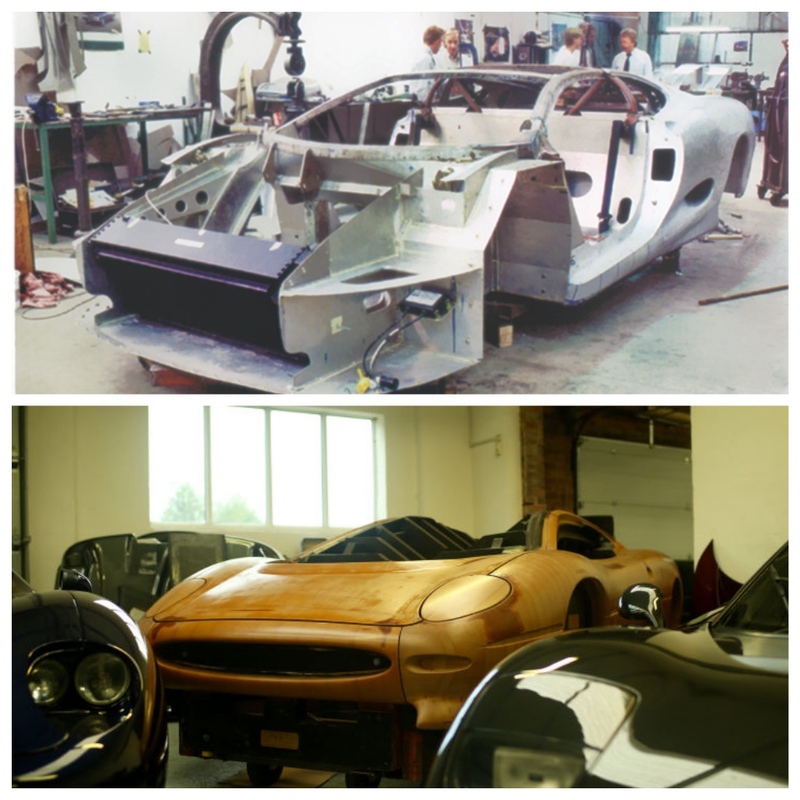 I have to admit I was quite emotional at the time – not only because of the exclusive access to the project, but also because of the impact it had on Jaguar, and everyone associated with the company. History records that the unveiling was a really big deal in Britain, and Jaguar received 1500 applications over the next few weeks, for the planned production of 350 cars. Jaguar Chairman Sir John Egan, with Randle at the NEC on Press Day. Of course, a depression-like recession hit the world shortly after and Jaguar only ever made 275 cars. 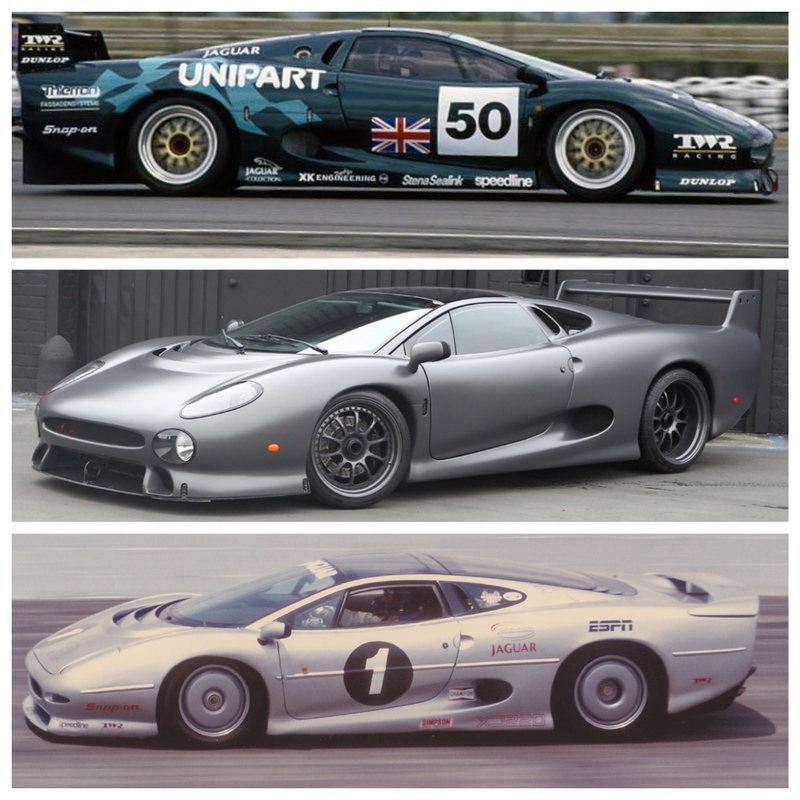 Some of the remaining cars, which did not have a name against them were a bit hard to move, so Jaguarsport (run by TWR) used the ‘C’ version (top) in competition, including Le Mans; and an ‘S’ model which was a faux-racer (centre). And, in 1983 Jaguar Cars North America became involved in the ‘laugh-a-minute’ Jaguar Fast Masters racing program at Indianapolis Raceway Park – which managed to smash up a lot of aluminium-bodied XJ-220s (bottom) every weekend for six weeks, just for TV coverage on ESPN2. As far as I’m concerned, the only positive thing that came out of that program was that I got to drive one of the race cars at Nazareth Raceway in Pennsylvania, on a media day, promoting the Series. For me, the most interesting facet of the entire project was the decision by Tom Walkinshaw to replace the 7-litre V12 Jaguar DOHC engine, in favour of a 3.5L twin-turbo V6. Tom said the V12 was too heavy, and the V6's improved power-to-weight ratio would better serve the car’s performance targets. The Jaguar diehards were devastated, but for me the more fascinating background was the origin of the V6 engine (above), and I have quite specific intelligence on this issue. In the 1970s I was on the editorial staff at MODERN MOTOR magazine, and we followed developments at Leyland Australia very closely. In 1972-73 the engineering team at Leyland Australia was working on a replacement for the 'very-average' Morris Marina, and had created a project called P82, for which the engineers had developed a V6 engine, by cutting two cylinders off the V8 engine used in the large P76 sedan. The P76 engine itself was a derivative of the Rover 3.5L V8, acquired from Buick! The development of the V6 engine was very well advanced in 1974, when BL Limited sent a brash young executive, called David Abell, to Australia to, among other things, announce Leyland Australia would cease activities as a full vehicle manufacturer, and instead become an importer of virtually the entire catalogue of Austin-Morris-Rover-Triumph-Jaguar models. After the announcement was made, Abell sold off the entire Leyland Australia site to the Australian Government, and then made sure that the results of every single engineering program was packed into containers and shipped back to the UK. The V6 engine prototypes, drawings, castings, and associated production equipment ended up at BL Motorsport at Abingdon, which was managed by a ‘colorful’ personality, called John Davenport. To cut a long story slightly shorter, the V6 engine became the basis for the very successful powerplant in the MG Metro 6R4 rally car (right), developed by BL Motorsport. TWR purchased the rights to the V64V engine from Austin Rover in 1989 and developed a completely new turbocharged engine, codenamed JV6, under the auspices of Allan Scott, with proportions roughly similar to the V64V, and suitable for sports car racing. As the V64V was originally naturally aspirated, it was necessary to redesign all parts of the engine to accommodate forced induction. A few of the changes included increasing the displacement to 3.5 litres, strengthening the internals and adding two Garrett TO3 turbochargers. 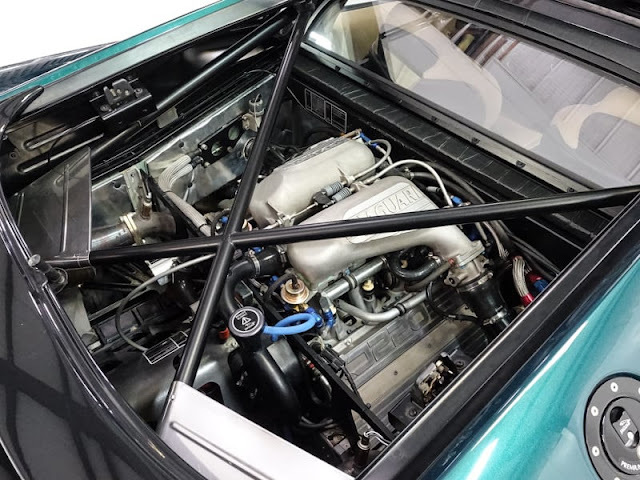 The JV6 engine would first be used in the JaguarSport XJR-10 and XJR-11 racing cars; its compact dimensions and low weight also made it an ideal candidate for the XJ220. Because of its V8 engine origins, the engine had a 90° bank angle, four valves per cylinder and belt-driven double overhead camshafts. It shared a number of design features with the Cosworth DFV Formula One engine. The V64V engine chosen had a short but successful career as a purpose-designed racing car engine. 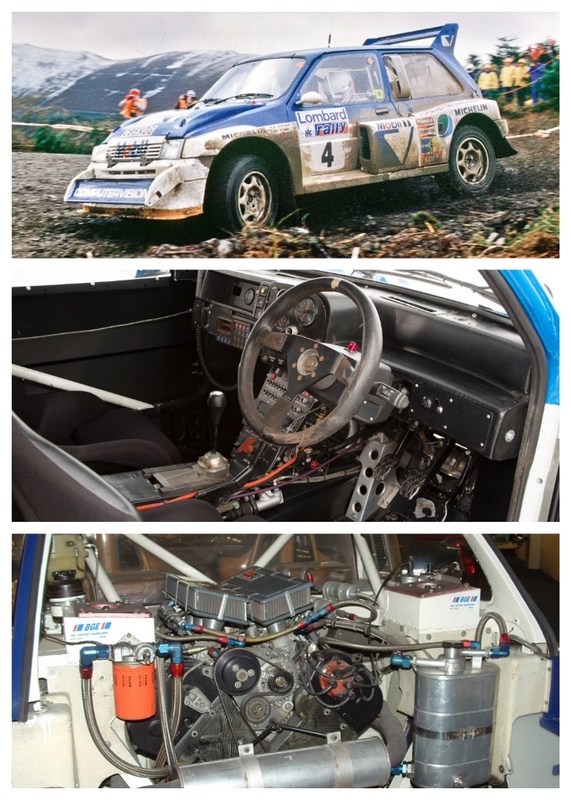 It had been modified by Cosworth engine designer David Wood for Austin Rover Group's Metro Group B rally car, the MG Metro 6R4. 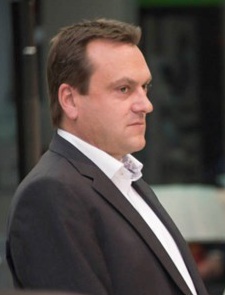 The redesign work necessary to create the Jaguar/TWR JV6 engine was undertaken by Andrew Barnes, TWR's Powertrain Manager, and also involved Swiss engine builder Max Heidegger, who had designed and built the race engines used in the XJR-10 and XJR-11 racing cars. 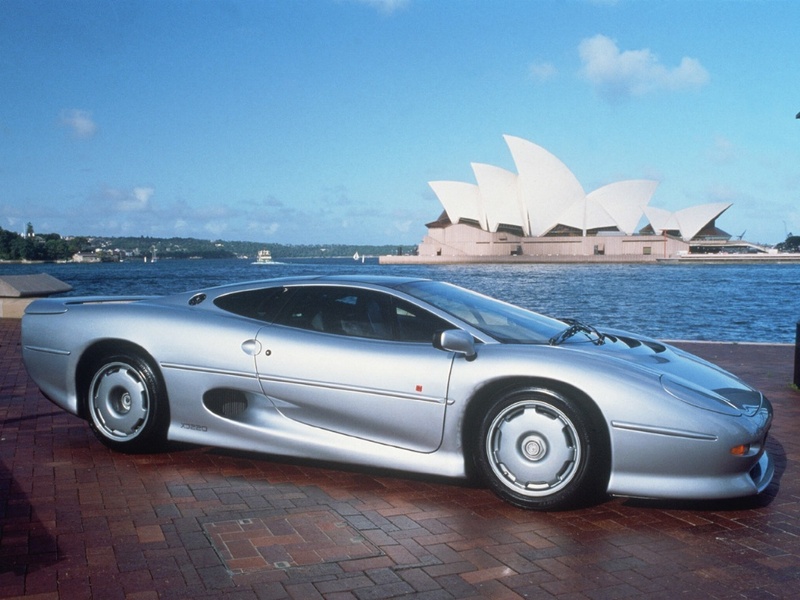 The XJ220's V6 engine had a bore x stroke of 94 mm × 84 mm (3.70 in × 3.31 in), dry sump lubrication, multi point fuel injection with dual injectors and Zytek electronic engine management. The engine was manufactured with an aluminium cylinder block and aluminium cylinder heads with steel connecting rods and crankshaft. In the standard state of tune, it produced a maximum power of 550 PS (542 bhp; 405 kW) at 7,200 rpm and torque of 475 lb⋅ft (644 N⋅m) at 4,500 rpm. TWR insiders will quietly admit that the Leyland Australia prototype V6 can be originally traced back as the origin for the V64V engine, but will also tell you that eventually the engine used in the XJ-220 was a bit like ‘grandfather’s axe’ – it had had a number of ‘heads and handles’! The story of the XJ220 is the stuff that would be ideal for a novel, given the multitude of personalities involved, and their separate agendas. 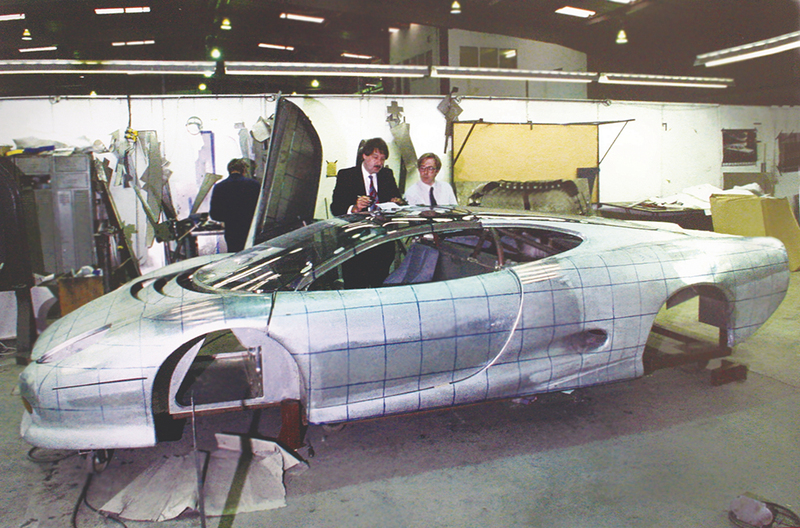 In the meantime, I am confident that none of my colleagues on the Jaguar Cars Board had any idea of this technical skulduggery, or, at the time, even the existence of Project XJ220!